This is a partial list of islands of India. 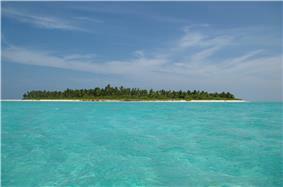 Vilanguchalli, 0.95 ha , now 1 m below mean low tide level as a result of excessive coral mining. Kurusadai, 65.80 ha was recently populated. South Talpatti Island – a three-mile-long island that was disputed to be owned by both India and Bangladesh. The Associated Press reported it submerged in March 2010. ^ IOM (2007). 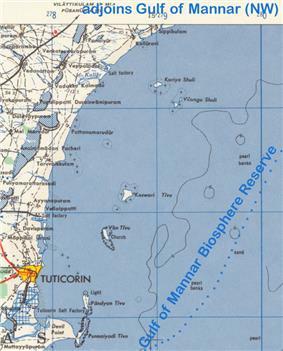 "Gulf of Mannar Biosphere Reserve:". Ecologically Important Areas of Tamil Nadu Coast. Institute for Ocean Management, Anna University. Retrieved 2007-10-15. ^ "Statistics". Government of Puducherry.